SPRINGFIELD, Ill. -- Marijuana advocates are trying to lay the groundwork for Illinois to become the first state in the Midwest and the ninth nationwide to legalize recreational pot, arguing the move will help solve the state's notorious budget crisis. Two Illinois state lawmakers introduced legislation last week that would allow residents 21 and older to possess, grow or buy up to an ounce (28 grams) of marijuana and license businesses to sell marijuana products subject to regulation. They say it would help fill Illinois' multibillion-dollar budget hole with $350 to $700 million in new tax revenue. A national advocacy group, the Marijuana Policy Project, based the estimate on the proposal's $50-per-ounce wholesale tax, Illinois' standard sales tax, federal marijuana consumption data and recreational pot prices in Colorado. The proposal earmarks 50 percent of wholesale revenues for the state's general fund and divides the remaining half 30/20 between education and public health. Every state to legalize pot to date has done so by voter ballot initiative, according to Chris Lindsey, a legislative analyst with the project. But Illinois advocates are not alone in holding out hope for lawmaker approval. Seventeen other states - including Missouri - are also considering legislative action. "We're talking about all sorts of ways of raising revenue," Cassidy said, referring to state lawmakers' efforts to break a two-year budget logjam. "We might as well be talking about this, too." 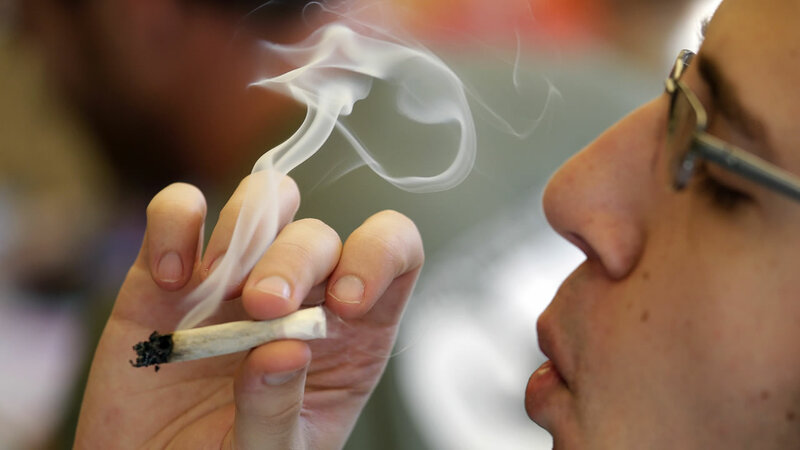 But she and fellow Chicago Democrat Sen. Heather Steans, who sponsored legislation that succeeded in decriminalizing the possession of small amounts of pot last year, know their new pitch could be a tough sell. They plan to jumpstart conversations with lawmakers, interest groups and the public this spring but won't move legislation forward in the current session. Key players like the Illinois Association of Chiefs of Police currently oppose the measure. Ed Wojcicki, the association's director, called legalizing recreational pot "an enforcement nightmare." He said existing science remains inconclusive about how to best identify impairment on the road and in other compromising situations. Democratic Rep. Lou Lang of Skokie, lead sponsor of the medical marijuana proposal, suggested the staggered timeline could help lawmakers gain a more complete picture of potential benefits and consequences - especially as more data rolls in on Illinois' pilot medical marijuana program, which launched in late 2015. "I do think this might be in Illinois' future," Lang said. "I certainly support the idea of having a discussion." "There's not a drug dealer in this country that asks for an ID when someone's looking to buy drugs," he said.